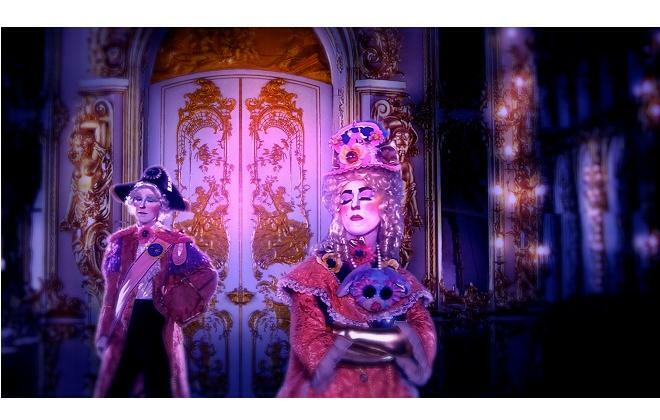 The 2014 Zabludowicz Collection Invites programme is launched with an exhibition of videos by Glasgow-based artist Rachel Maclean (b.1987, Edinburgh). Creating glowing, hyper-saturated worlds using green-screen technology, Maclean weaves together appropriated audio and a multitude of narrative references to form darkly comic odysseys. The only actor in her work, Maclean enters into a variety of guises that embody unstable identities, shifting between cartoonish archetypes and hollow inhuman clones. 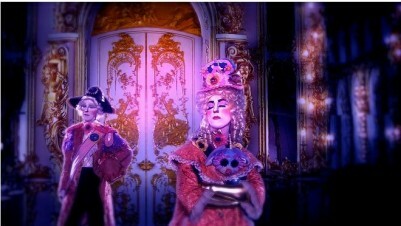 The centre-piece of the presentation is Over the Rainbow, 2013, an absurdist reworking of Faustian and horror movie genres inspired by the Technicolor utopias of children’s television and the tribulations of talent shows. A second video, The Lion and The Unicorn, 2012, explores the myriad and often contradictory constructions of cultural identity, specifically what it means to be Scottish and part of the Union with England. Postcards by sixty artists based in Britain, the majority newly made for this exhibition. Curated and catalogued by Jeremy Cooper. 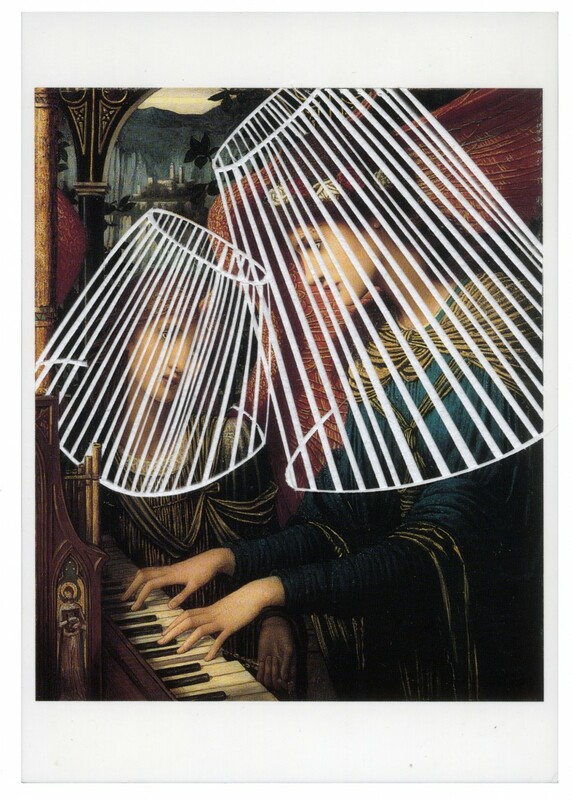 The purpose of an artist’s a postcard is to express an idea, aesthetic and intellectual, specifically and exclusively in the form of a postcard, that could be actually postable, even when made of wood, or bone, or stone. The exhibits are not merely postcard-sized paintings, but instead they engage individually with the form and purpose of the postcard. Ruth Claxton, Postard (St Cecilia), 2013. SPACE is proud to present a multi-screen installation of thirteen black and white performance video tapes by Los Angeles based artist, Paul McCarthy (b.1945). Made between 1971 and 1975, these recordings offer unique insight into the formative practice of an artist who today counts as one of the most visible on the international stage. 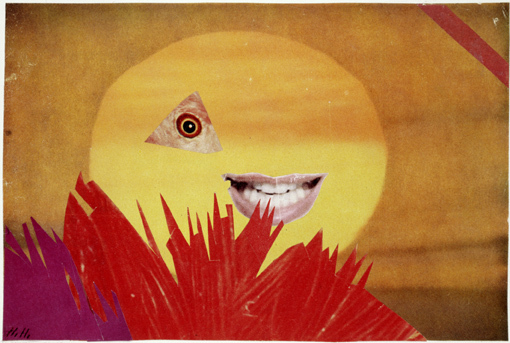 While McCarthy’s earliest work explored and disrupted the formal properties of minimalist art, in the early 70s, having borrowed equipment from the video technician of the dentistry school at The University of Southern California, he began to document himself executing swift, psychologically taut performances. In contrast to the spectacular ambition of his later installations and public sculptures, the Black and White Tapes (as these performances came to be known) feature the artist alone or lightly accompanied in his studio. Making use of whatever materials are in the room – oil left over from a previous body of monochrome works, emulsion paint, rags, a phone book, cotton wool and, most crucially, his own body – McCarthy undertakes single, repetitive or punitive acts for the camera. Paul McCarthy, Black and White Tapes. Courtesy of EAI. Bringing together over 100 works from major international collections, the exhibition examines Höch’s extraordinary career from the 1910s to the 1970s. Alison Turnbull is known for the intricate abstract paintings and drawings she creates from found materials, such as diagrams, plans, charts and maps. The exhibition presents new and recent works exploring ideas around observation, orientation and perspective. 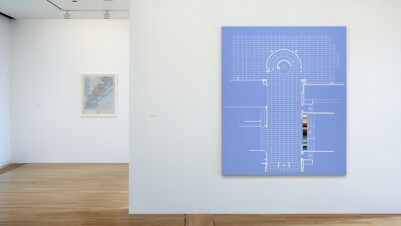 Two of her new paintings have their starting point in drawings by the Pavilion’s architect, Erich Mendelsohn; the elevation of the Observatory in Potsdam for Einstein’s Tower (2013) and the blueprint for the Pavilion itself for Mendelsohn’s Staircase (2013). Other paintings include North and South (2011) derived from a constellation map of the northern and southern hemispheres and Ecliptic (2013) referencing the imaginary line that describes the orbit of the sun. Across the gallery space are six of the artist’s Drawing Tables (2010 – ) an ongoing series of drawings made on printed stationery from around the world, presented in specially designed tables. Matt Calderwood‘s new works open the process up to chance, allowing the coastal weather and light particular to the Pavilion to choreograph his work. Exploring the physical properties of material and its transformative quality, Exposure Sculpture (2013) are geometric structures made from welded steel clothed in billboard paper. Located on the roof during the summer months, they have now been reassembled in the gallery space and reveal the results from the four months’ exposure to the elements during the outdoor installation prior to the exhibition. Papercut (2013), a large scale collage made from stocks of newsprint, continues to experiment with the idea; beginning with only a subtle visible difference in paper stocks, visitors will see constantly changing patterns on the paper which will emerge as the low winter sunlight enters deep into the gallery space throughout the period of the exhibition. 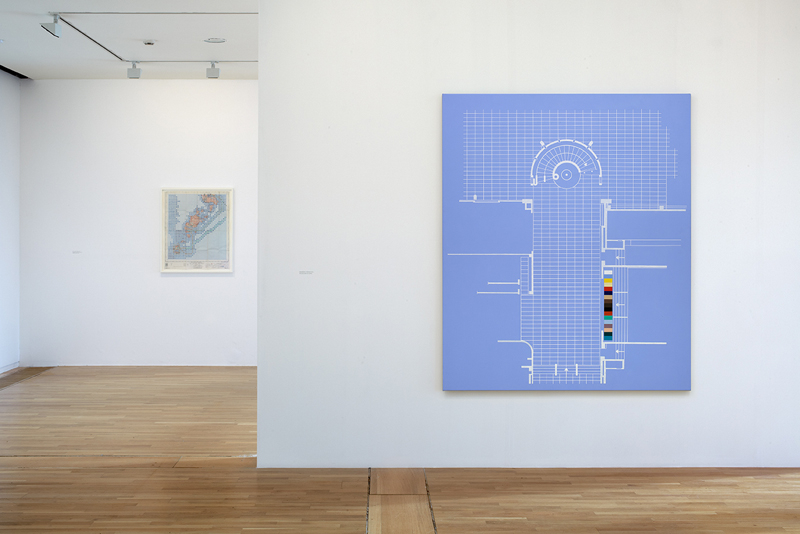 Alison Turnbull, De La Warr Pavilion installation shot, 2014 with Menelsohn’s Staircase. Photographer: Peter White. 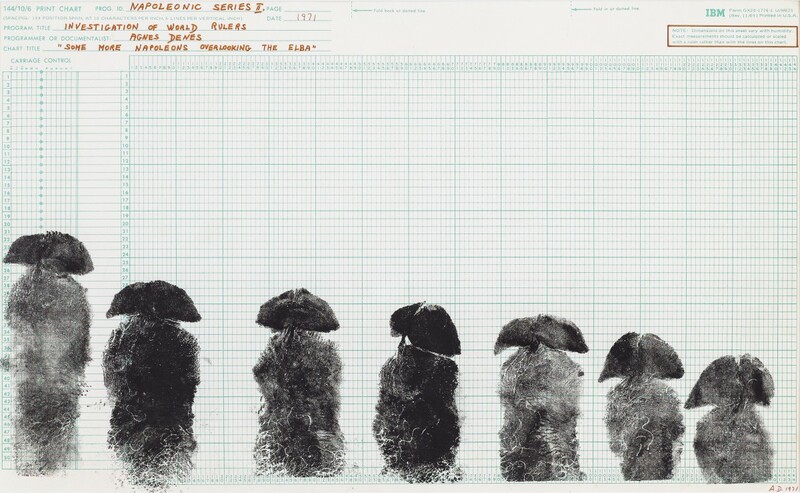 Since the late 1960s, Agnes Denes has combined a conceptual approach to drawing and printmaking with pioneering interventions in the natural and urban environment. Her work addresses a range of concerns and influences from philosophy, mathematics and science to environmental issues and sexual politics. This exhibition includes a selection of over 50 drawings and prints from four major series of work undertaken by the artist from the late 1960s to the present day. These are presented alongside photographs and other documents from Denes’ major sculptural projects from this period. Of key importance is Wheatfield– A Confrontation (1982), which saw the artist cultivate and harvest a crop of wheat on two acres of land in downtown Manhattan, New York. 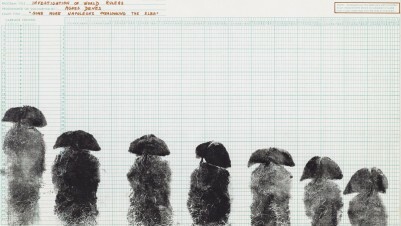 Agnes Denes, Napoleonic Series I: Investigation of World Rulers II – Some More Napoleons Overlooking the Elba, 1971. ©Agnes Denes, courtesy Leslie Tonkonow Artworks + Projects, New York. 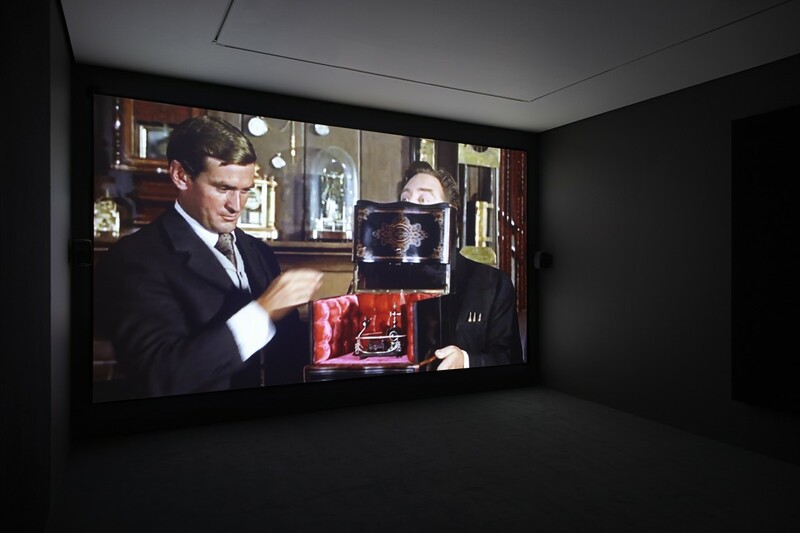 Treasures in MK is MK Gallery’s surprising and extraordinary exhibition for the start of 2014. It will feature an exceptional range of art works – spanning almost an entire millennium – selected from over 50 collections within Buckinghamshire, mostly in private hands. This unique exhibition is effectively mobilising a community of art lovers at the heart of the newly emerging city of Milton Keynes. MK Gallery is renowned for exhibitions of modern and contemporary art, but this exhibition combines historical items with the contemporary, in anticipation of the broader programme that will be presented on completion of the Gallery’s ambitious expansion plans. 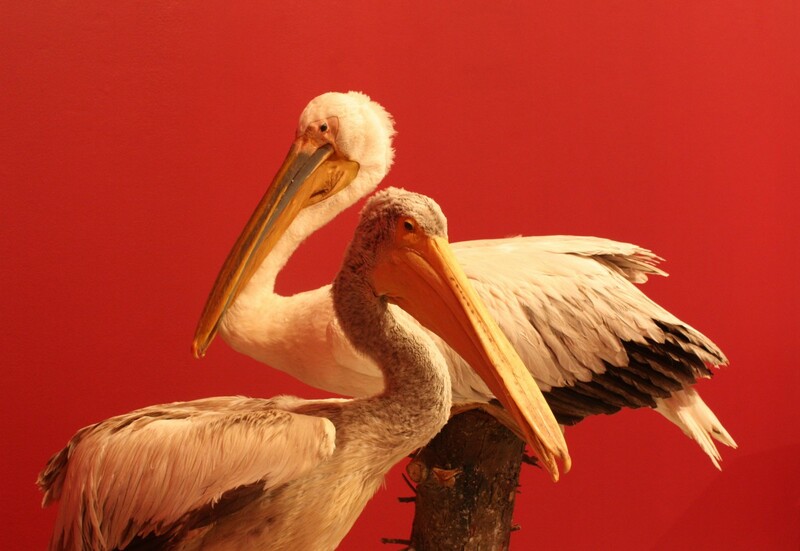 Like a ‘cabinet of curiosities’, the exhibition brings together an eclectic array of objects and focuses on the fascinating stories behind the works. Old Masters such as Thomas Gainsborough, George Romney, William Hogarth and John Everett Millais rub shoulders with Modern Masters from Picasso and Matisse to Andy Warhol. Other extraordinary items include the Boarstall Cartulary from the 11th century which featured in the BBC’s History of the World; memorabilia from ‘godfather of British aviation’ Frank McLean’s hair-raising flights under the bridges on the River Thames; taxidermied pelicans from a private zoo; an Aston Martin DB4 on loan from Aston Martin Works Service and a unique self-portrait by David Bowie from a private collection. These extraordinary artworks and objects are supplemented with additional work from local collections such as the Open University, Waddesdon Manor and Buckinghamshire County Museum. 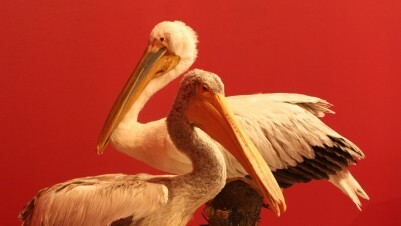 Installation shot of taxidermied pelicans. Part of the Treasures in MK exhibition at MK Gallery, 2014. 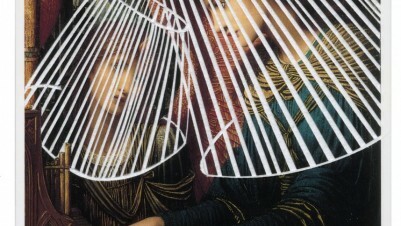 Works on loan from private collector. Maps DNA and Spam features new work (Dundee Wall and The First Person) and a selection of older work including The Time Machine in alphabetical order, Belief and A short film about War. Much of Thomson & Craighead’s recent work looks at how communications networks like the worldwide web are changing the way we relate to the world around us – the conflict between our private and public identities, the tension between the global and the local and the way in which modern communications inform our sense of place and self in the world. 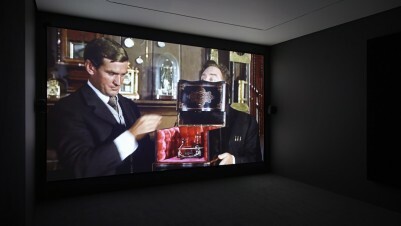 Thomson & Craighead, The Time Machine in Alphabetical Order, 2010. 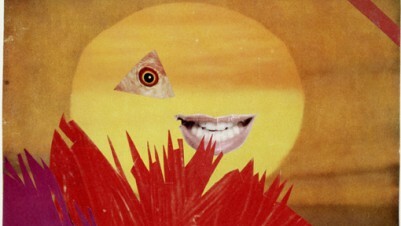 Courtesy Carroll/Fletcher, London.